Christmas in Bangkok! By far the least Christmassy Christmas I’ve ever had. I went with one of my friends (hello, I know you’re reading) and her friend from home who was visiting. I didn’t take the same flight as them, so I got to have a fun three hours waiting at the airport by myself, but it was okay in the end. 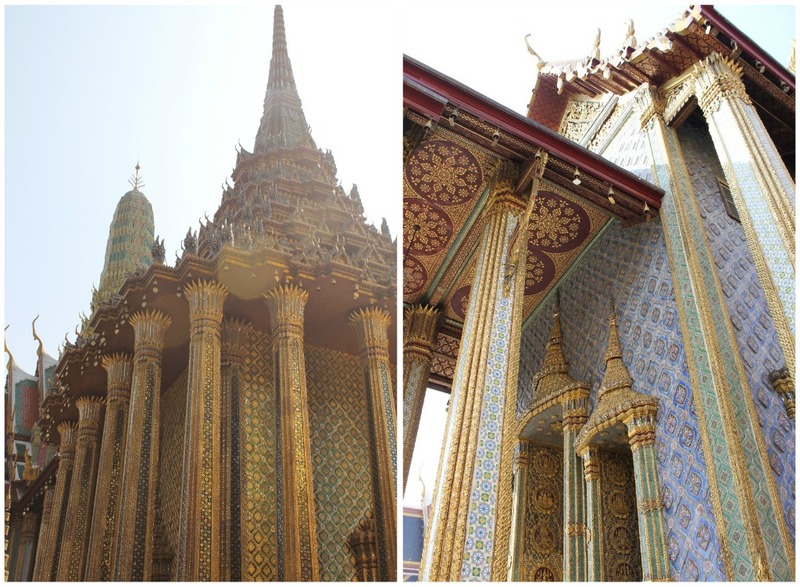 Just like Taipei, Bangkok was mostly temples, shopping, and street food, and I was okay with that. Our first day, we wanted to go to some of the cool temples near the river. 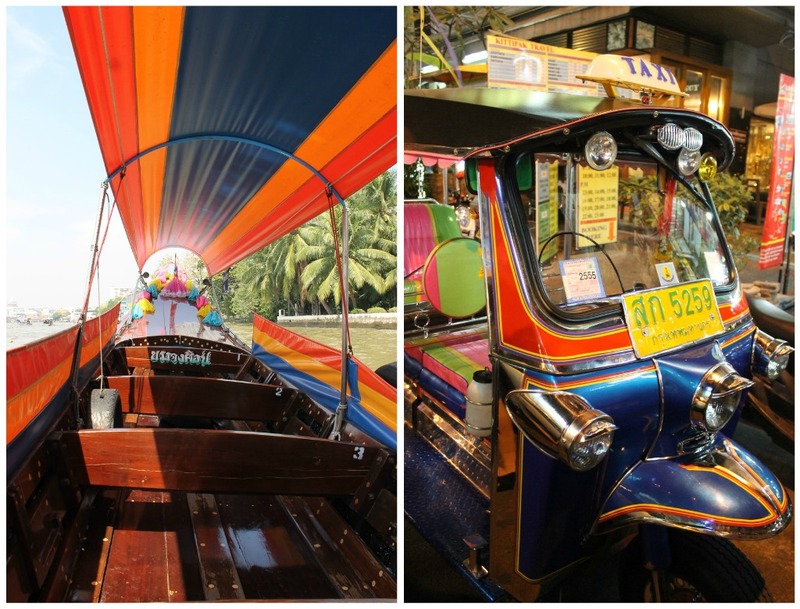 We pretty much got scammed by a tuk-tuk driver into taking a very expensive longboat instead of the public ferry, but as far as scams go, it wasn’t the end of the world. After that though, it was all ferry all the time. Definitely the coolest form of public transportation I’ve ever taken. 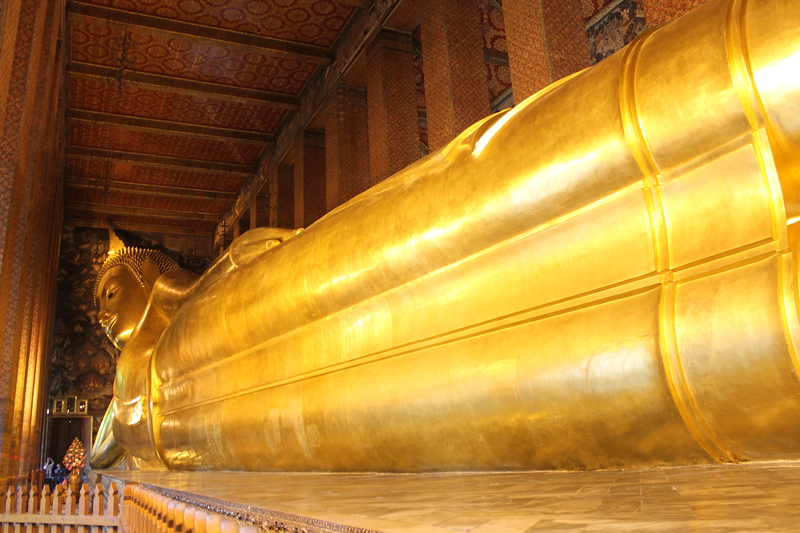 First stop: the Reclining Buddha at Wat Pho. It’s a gigantic statue of Buddha laying down, and it looks even bigger because it’s in a room barely big enough for it. Very impressive. The bottom of Buddha’s feet have a really intricate mother-of-pearl design, and the walls inside the building are painted as a huge, extremely detailed mural. After that, we went to Khao San Road and then Patpong Night Market. So much cheap shopping! Lots of cheesy souvenirs and bad knockoffs, sure, but I managed to find a few decent things. There were also plenty of food carts, so I might as well go into the street food now. Pad thai pad thai pad thai. I think I had it three or four times, including Christmas dinner. Stir fried noodles with shrimp, egg, peanuts, sprouts, chili, lime, green onions, yum yum yum. 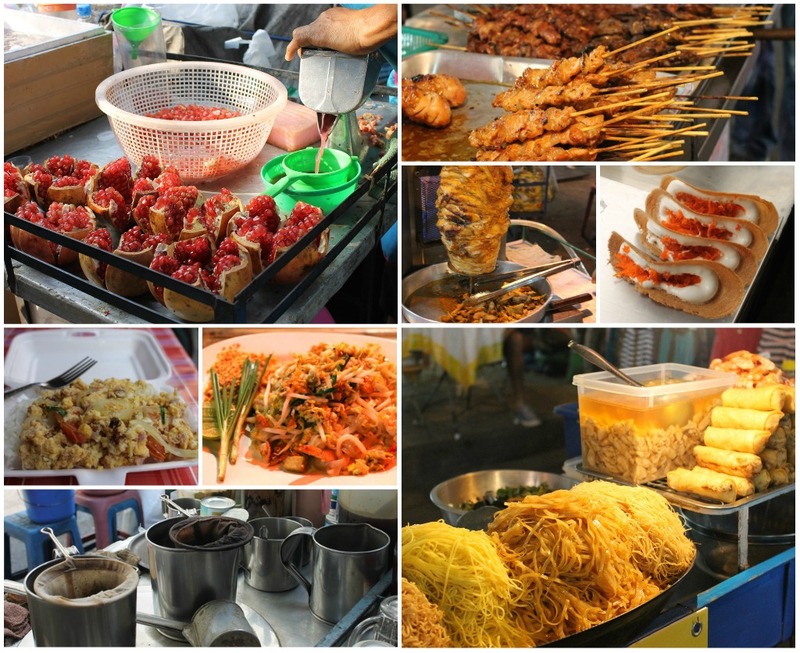 Also satay, fresh squeezed juice, Thai tea, scrambled eggs with rice, mango sticky rice, fried bananas, red curry, green curry… We ate so many meals on the street. Pretty much everything I’ve had before, since Thai is tied with Mexican for my favorite cuisine, but obviously it was a lot cooler (and cheaper) eating Thai food in the street in Thailand than at a restaurant here in Los Angeles. What was new to me, though, was coconut pancakes. They’re not like fluffy pancakes, but rather a crunchy shell filled with cream and coconut shavings. 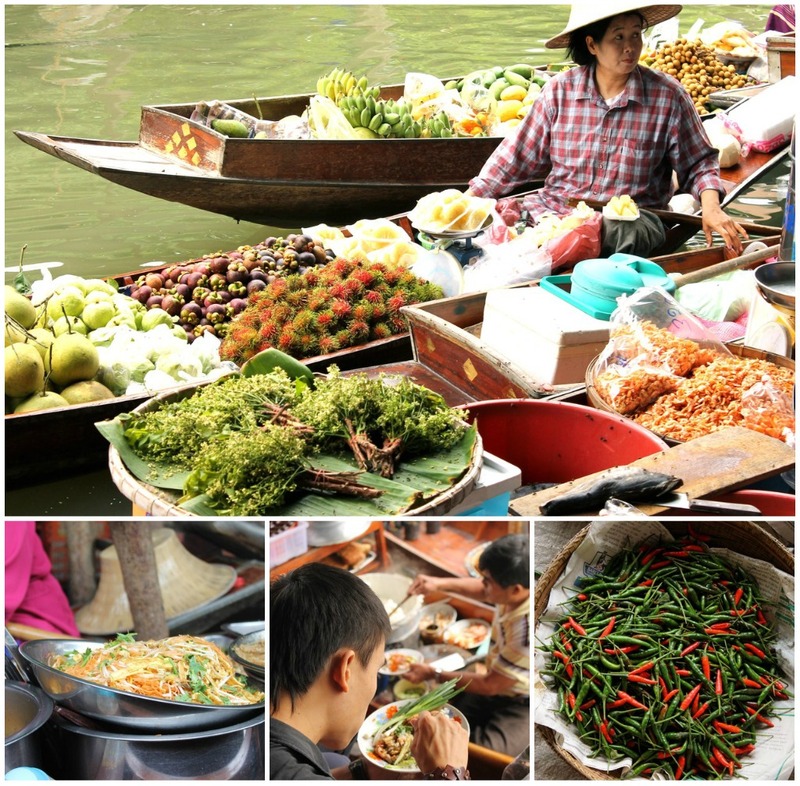 We had those our second day, at the floating market. We booked a day tour since everything we wanted to see that day was at least two hours outside the city. First stop was the Damnoen Saduak Floating Market in Ratchaburi. Plenty of boats and stalls were selling tourist crap, but I was way more interested in the real stuff. Little old ladies sitting in the water cutting fresh produce or handing bowls of hot noodles to people standing on the side of the canal. Definitely awesome to see. 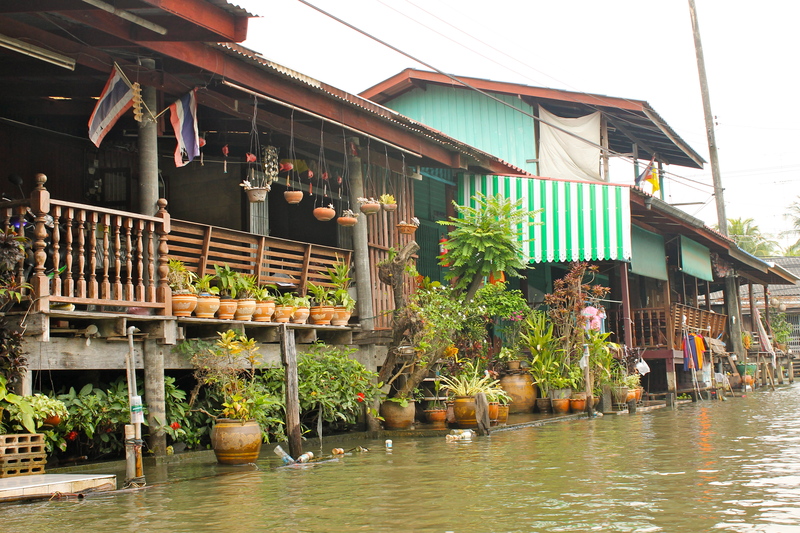 We took a boat through the market and then looped around through other parts of the canal where people actually live. These houses were gorgeous! Sure, they were all a bit run down, but most were pretty big and almost all of them had tons of potted plants and other decorations out front. It was so beautiful. After that, we hopped back on the bus which took us to lunch. This meal was really different than I expected. 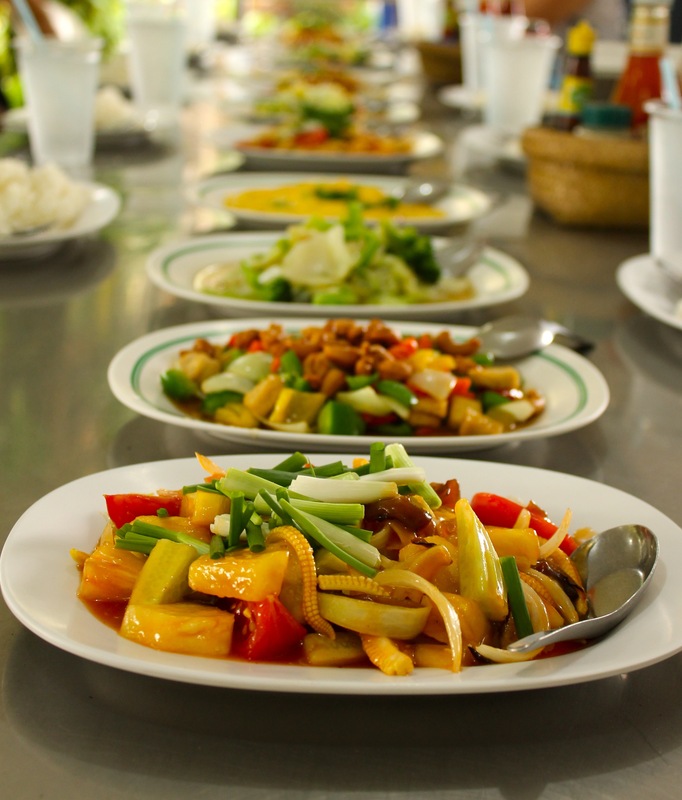 Not at all spicy like Thai food usually is – just really fresh tasting. Tons of bell peppers, onions, tofu, pineapple, cashews, and – my favorite – broccoli. Then we were off to the River Kwai Bridge, and finally, the place I was excited for most: the Tiger Temple. It’s a conservation center run by monks. Some tigers are born there, but a lot are brought in as cubs after their mothers are killed by poachers. There were so many tigers! You wait in line for a bit, and then get two volunteers assigned to you: one holds your hand and walks you from tiger to tiger, where you sit and rub their adorable tiger bellies for a bit, and another takes pictures for you. Besides that you can walk around the rest of the center on your own. They also have other animals, like boars and deer, and you might run into a monk taking a tiger for a walk. Such an unbelievable experience. 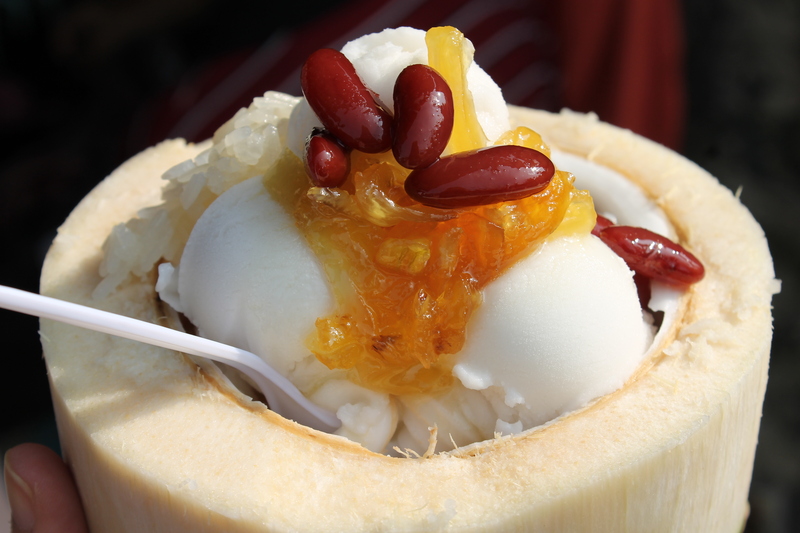 Coconut ice cream, served in the coconut it was made from, topped with red beans, sticky rice, and pineapple jelly. Merry Christmas to me. For our last days we laid on the beach and got tans, and then just walked around a bit. Sometimes my favorite thing to do is just walk around and look at people going about their business. The sidewalks in Bangkok are overly crowded with people cooking different foods, and any alley big enough to accomodate a market is filled with stalls of fresh fruit. Thailand was amazing. I want to go back. Maybe not Bangkok – after five days, I definitely feel like I got a sense of what the city is about – but somewhere else definitely. Just for the food. This entry was posted in Thailand, Travel and tagged banana, bell pepper, coconut, egg, green onion, mango, pineapple, pomegranate, red bean, street food by Alyssa G. Bookmark the permalink.